Instagram is one of the most popular social media platforms in the world. It’s a fantastic way to share photographs and stories with your audience. However, it can be hard to share your Instagram content through WordPress, since the platform doesn’t offer any integration options out of the box. Whether it offers a premium version with additional functionality. We have a lot of ground to cover, so let’s jump right in and take a look at the first WordPress Instagram plugin! When it comes to integrating WordPress with Instagram, what most people want to do is display their feeds on their websites. AccessPress Instagram Feed connects with your Instagram account and enables you to insert your feed on any page or post you want, using either shortcodes or widgets. As we continue down this list, you’ll notice that most WordPress Instagram plugins provide similar features. However, this tool, in particular, stands out because it provides you with several layouts you can use to display your feed. Moreover, it includes lightbox effects for your images, and it’s fully responsive. Display your Instagram feed on WordPress using shortcodes and widgets. Choose from several layouts for your feed. Create a fully-responsive feed with no additional configuration needed. If you want a little more firepower, the plugin also offers a premium version. A single pro license provides you with access to even more layouts. On top of that, it also includes the option to display your photographs’ like counts and comments. Despite its unimaginative name, Instagram Feed packs several interesting features. Its main functionality is enabling you to display your Instagram feed on WordPress using shortcodes. However, the fun part is that it enables you to display photos from multiple accounts as part of a single feed (if you want to). Moreover, this plugin provides you with options to customize the entire layout of your Instagram feed and the resolution for your photos. It even offers a Load More button your visitors can use to browse additional content from your Instagram account, and it supports CSS if you feel like rolling up your sleeves and doing some custom work. Display Instagram feeds in WordPress using shortcodes. Mix photos from several Instagram accounts in a single feed. Customize the look of your feeds using several built-in options and custom CSS. Enable your users to load as many of your pictures as you want. This plugin is 100% free from the WordPress.org Plugin Directory. Like many of the plugins we’ve covered so far, WD Instagram Feed enables you to create an Instagram widget for WordPress. It also supports classic shortcodes. What’s more, this plugin also provides you with several layouts to choose from for your feed, including a modern metro design. Our favorite feature, however, is the ability to skip displaying specific pictures from your Instagram feed. That way, you have full control over the content that goes up on your WordPress website. Use widgets and shortcodes to add an Instagram feed to WordPress. Choose from several layouts, including a metro design. Skip specific pictures from your Instagram feed. Choose between pagination and scrolling features. There’s also a premium version of the WD Instagram Feed plugin, which includes additional layouts, support for mixed Instagram feeds, and advanced transition effects for browsing your galleries. If you’re looking for the quickest way to put your feed up on your website, this WordPress Instagram plugin is the way to go. WP Instagram Widget enables you to display your feed using a simple widget, and it doesn’t require you to provide access to your Instagram account. All you have to do is enter the name of the account you want to display, and as long as it’s set to public, you’re good to go. The only downside is that this plugin doesn’t include a lot of customization options. That means if you want full control over how your feed appears, you might want to look elsewhere. Display any public Instagram feed you want using a widget. Cache your widget’s images automatically. This plugin is a free and open-source option. So far, we’ve focused only on Instagram-centric plugins, so it’s time to cast a wider net. The Feed them Social plugin enables you to display feeds from several social media platforms on WordPress. It supports Facebook, Twitter, Pinterest, YouTube, and (of course) Instagram. This particular plugin enables you to add as many feeds as you want from any of the social media platforms mentioned above, and you can include follow and like buttons for all of them. Moreover, all the galleries it creates are fully responsive, and there are several extensions you can set up to provide added functionality. Add feeds from Facebook, Twitter, Pinterest, YouTube, and Instagram accounts using shortcodes and widgets. Display follow and like buttons for all your feeds. Create fully-responsive galleries out of the box. There’s also a premium version with several extensions offered at various price points. The Photonic Gallery plugin is another tool that enables you to add feeds from multiple platforms to WordPress. In this case, the focus of the plugin is less on social media and more on photography websites. It supports feeds from Flickr, Picasa, SmugMug, Zenfolio, and Instagram. Photonic Gallery uses a shortcode system for adding feeds to your website. To make it easier to use, the plugin also includes a shortcode editor that enables you to customize your feeds, and generates unique shortcodes for them. Display your Flickr, Picasa, SmugMug, Zenfolio, and Instagram feeds on WordPress. Use customizable shortcodes to add your feeds anywhere you want. This is a free plugin, with no premium version. Instagram Gallery is another strong contender for the title of “easiest-to-use WordPress Instagram plugin”. This straightforward tool enables you to add Instagram feeds to your website as galleries or carousels. There are only a couple of customization options on offer, so it’s entirely possible to have your feed set up and running in minutes. Moreover, the feeds themselves use clean and modern designs that look great on almost any website. Add Instagram galleries and carousels to WordPress using widgets. Set up your Instagram feed quickly and seamlessly. This plugin is another free option that can be found in the WordPress Plugin Directory. This WordPress Instagram plugin is a complete 180 from anything we’ve covered so far. Instead of posting your Instagram content to WordPress, it does the opposite. With WP Instagram Post and Widget, you can upload your WordPress posts (or any custom post type) to Instagram as individual publications. For example, if you create a regular post, Instagram will take its featured image and publish it in your feed. It will also use the post’s meta description and include a link back to the source. Therefore, this plugin is a perfect way to drive traffic to WordPress from Instagram. Publish any type of WordPress post type to Instagram. Include your posts’ featured images and meta descriptions. Link back to your WordPress content from Instagram. Aside from the features we’ve mentioned so far, there’s also a premium version of WP Instagram Post and Widget that offers even more. A license costs $29, and it will enable you to publish content to several Instagram accounts as one and share your WordPress images. As this plugin’s name implies, it enables you to set up an Instagram widget in WordPress. Instagram Widget by WPZOOM is remarkably simple to use, and us a perfect option if you want to showcase a single feed on your website without much fuss. Unfortunately, this plugin doesn’t offer much in the way of customization settings. It does support two- and three-column layouts, however, both of which look fantastic. Use an Instagram widget in WordPress to display your feed. Choose between multiple attractive layouts. All of this plugin’s features are included in the single free version. Custom Instagram Feed is a plugin with a lot of depth. Its basic functionality is to display your Instagram content in WordPress. However, it also provides you with a wide range of options to customize how your feed will look. Some of those options include changing your feed’s width, height, and background color. What’s more, you also get access to a variety of custom layout options, as well as the ability to choose in which order your photos will show up. You can even add padding to your gallery’s items, and place a Load More button if you want to. Finally, the plugin is fully responsive, so you don’t have to worry about your mobile users. Add your Instagram feed to WordPress using shortcodes. Customize every aspect of your feed’s style via pre-built layouts and other settings. Add a Load More button to your Instagram gallery in WordPress. The premium version of this WordPress Instagram plugin also packs a lot of functionality. It enables you to display Instagram videos in WordPress and filter your feed using hashtags, plus it supports advanced lightbox settings. As its name implies, this WordPress Instagram plugin is very simple to set up. It’s perfect if you’re looking for a quick way to add your Instagram feed to any of your WordPress pages, using either shortcodes or widgets. When it comes to unique features, Simple Instagram Feed has a few things to offer. It enables you to limit the length of your Instagram captions when they show up in WordPress, which is handy if you use a ton of hashtags that you don’t want to display on your site. You can also limit how many photos should appear in your feed. That makes this plugin ideal if you just want to showcase your most recent Instagram post. Display your Instagram feed using either widgets or shortcodes. Limit the length of your Instagram captions in WordPress. Choose how many pictures you want to display in your feed. Along with being easy to use, this plugin’s pricing structure is equally simple – free! This is the second WordPress Instagram plugin we’ve featured so far that’s all about posting your website’s content to social media. In this case, however, Blog2Social doesn’t only support Instagram. In fact, it enables you to share your WordPress content to pretty much every social media platform you can imagine. That includes Facebook, Twitter, LinkedIn, Reddit, Pinterest, Flickr, and many more. 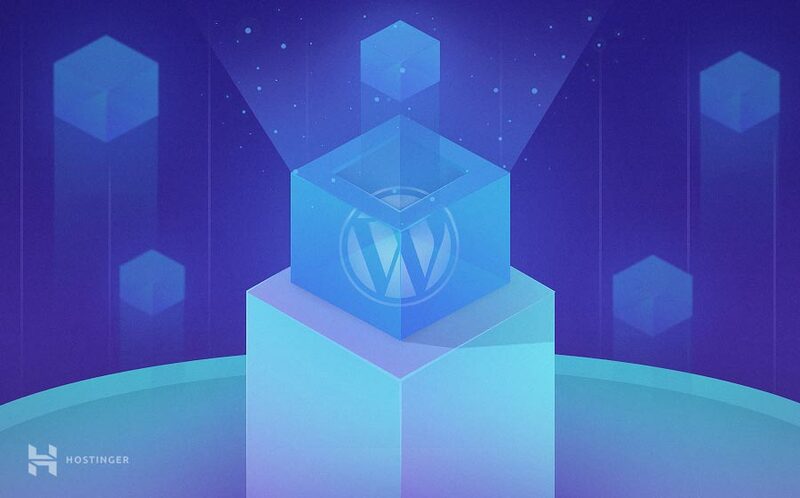 You can pick and choose which platforms you want to connect to WordPress, and configure what content will be shared to them. Along with publishing your new posts on social media, you can also schedule re-posts and any other type of publication you want. Our favorite feature Blog2Social offers is the ability to generate hashtags automatically, using your posts’ tags. Publish your WordPress content on over ten social media platforms. Share new posts and schedule re-posts – or any other type of content you want. Automatically generate social media hashtags from your posts’ tags. As you might expect, this ambitious WordPress Instagram plugin also offers a premium version. In this case, a single basic license starts at five euro per month and supports up to three social media accounts and two users. Super Socializer offers a feature we haven’t seen so far from any other WordPress Instagram plugin. It enables you to log into your WordPress site using Instagram, as well as several other social networks. This feature is commonly known as ‘social login’, and it can be a boon if you don’t want to set up new accounts for every site. Moreover, this plugin also enables you to add social sharing buttons to your WordPress content. Then, you can customize the way they appear on the page. Enable users to log into your website using their social media accounts. Add sharing buttons to your WordPress content, including any major social media platforms you want (including Instagram). This is a free plugin, although it does offer a few paid add-ons. Now we’re really getting off the beaten path when it comes to features. What Featured Image from URL does is enable you to use external images as your posts’ featured graphics. All you have to do is find the URL of the image you want to use, add it to the corresponding field, and you’re good to go. As you might expect, the plugin supports Instagram images. That means you won’t have to look for a way to download them if you’re using images from a third party’s feed (although you should always ask for permission first!). Plus, Featured Image from URL also supports custom post types. Use external graphics as your content’s featured images. Pull photos from Instagram to use on your site. While the base plugin is free, there’s also a premium version offered for a donation of $50 or more. The name of this plugin does a good job of giving away its focus, since it enables you to add social media sharing buttons to your WordPress pages. Social Media Share Buttons & Social Sharing Icons offers a broad collection of button styles and customization options, and it supports Instagram. As far as unique features go, this plugin not only offers plenty of button types, it also lets you upload your own icons. Moreover, you can display how many times your posts have been shared below each icon, which tells visitors how popular your content is. Market your WordPress content using social media sharing buttons. Add buttons for over 200 social media platforms. Choose from a broad range of button styles, or upload your own icons. Display share counts for your content. If you want additional features, there’s a premium version of this WordPress Instagram plugin, which includes even more styles, and it enables you to configure what happens when a visitor clicks on any of your buttons. Ultimate Member’s goal is to enable you to create membership websites with advanced user profiles. Using this WordPress Instagram plugin, you’ll be able to fully customize the signup experience, and specify what information users can add to their profiles. For example, there are features that enable users to display Instagram pictures on their profile. Users will also be able to interact with each other using social media walls and send private messages. Customize your WordPress registration and user profile pages. Add basic social media features such as walls and private messaging to your website. Enable users to add Instagram feeds to their profiles. The Ultimate Member plugin is free, but there are several premium extensions you can purchase to add more functionality to your membership website. If you need a reliable platform for your website, make sure to check out our WordPress hosting. 24/7 live support with reliable server infrastructure will ensure your success every step of the way! One of the best things about WordPress is that there are plugins for basically every functionality you can imagine. If you want to integrate Instagram with the platform, there are several ways you can go about it, depending on which WordPress Instagram plugin you use. For example, you can add your feed to one of your site’s pages via AccessPress Instagram Feed, or use Instagram images as your featured graphics with Featured Image from URL. Which of these options do you think is the best Instagram plugin for WordPress? Let’s talk in the comments section below!